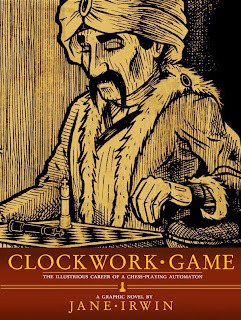 Waaaaay back in 2008, I reviewed Jane Irwin's webcomic, Clockwork Game. Good tale about an unusual little corner of history. She finished serializing the story last month, and last week she launched a Kickstarter project to print it. That's pretty typical, right? Run the story online to get everyone's interest going, and then use the traction you get in the free webcomic to make a few bucks in selling hard copies of the thing. But when Irwin was telling me a bit about this the other day, I was struck by something that I don't see very often in Kickstarter projects. Namely, she's done. I mean, yeah, the story is complete. You knew that, and it's not all that unusual. But she's got the whole book done. The forward has been written, the book's been laid out with all the end notes and bibliography in place (she sent me a galley copy), the printer (who she's used before) has got time alloted to print everything... Irwin's got pretty much everything done with the exception of actually printing the book itself. At this point, her project's even been funded to nearly her first stretch goal, so the only real thing she needs to address is the quantity of books she'll ultimately have printed. Now what this means is that, despite this being her first Kickstarter project, she's going into it with about as many of the variables known as possible. There's no "Oh, I guess I'll need to find a printer now" or "I suppose I'll have to actually create this story" or anything. It's just done. She just needs to send the file over to the printer with the number of copies she needs. Boom. Done. The practical upshot of this is that I'm pretty confident that she's going to hit her estimated delivery date for all the rewards. Nearly all of the successful projects I've backed have run late; I've even got projects I've backed from 2011 that still haven't been fulfilled yet! (For the record, most have been fulfilled at this point and most of those who missed expected delivery dates were only off by a month or two.) But in Irwin's case, the majority of the work surrounding the book is done, so there are fewer variables she needs to factor in. With fewer variables, there's less chance for error and a greater likelihood her delivery estimates are accurate. 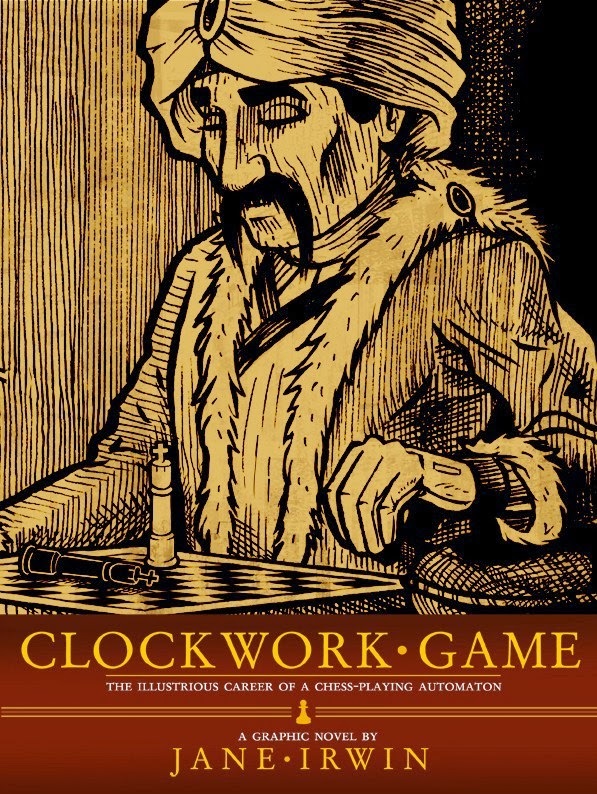 Going into a Kickstarter project with the work effectively done? What a concept!